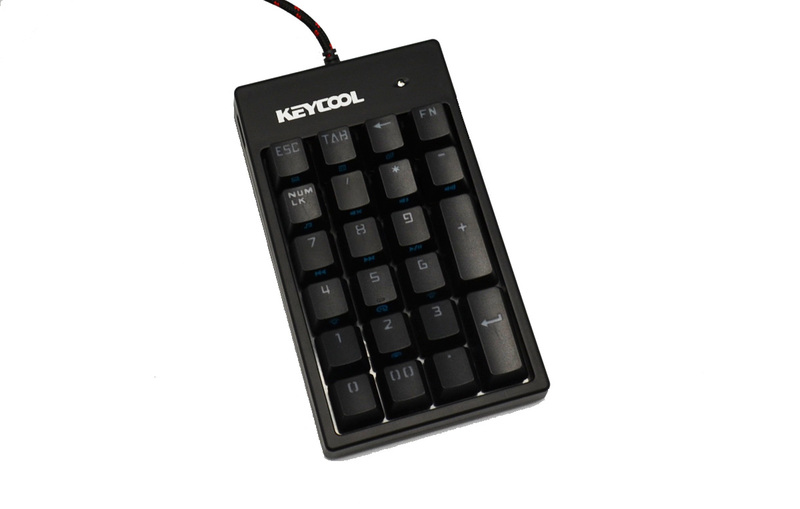 A 22-key number pad by Keycool for those with compact or TKL keyboards needing a numpad every once in a while. Measures 150 x 90 x 38 mm and weighs less than 11 ounces. Greetech switches. Firstly, I think this keypad is decently well built. It shows no real flex when giving it a twist or a bend, which is great. It doesn't creak when doing the same. The switches are plate mounted, the plate is some type of metal. The unit can have a slight hollow sound when typing, especially towards the upper rows where there is a bit more space in the case. I solved that by adding some foam on the inside, which was made very easy because it is held together by two screws and comes apart very easily. The function of this numpad is strange. The unit I received did not output 'numpad' scancodes. It put out 'numrow' scancodes. For some people this might be a deal breaker. In linux, my main OS, I was able to remap the keys and it functions well. 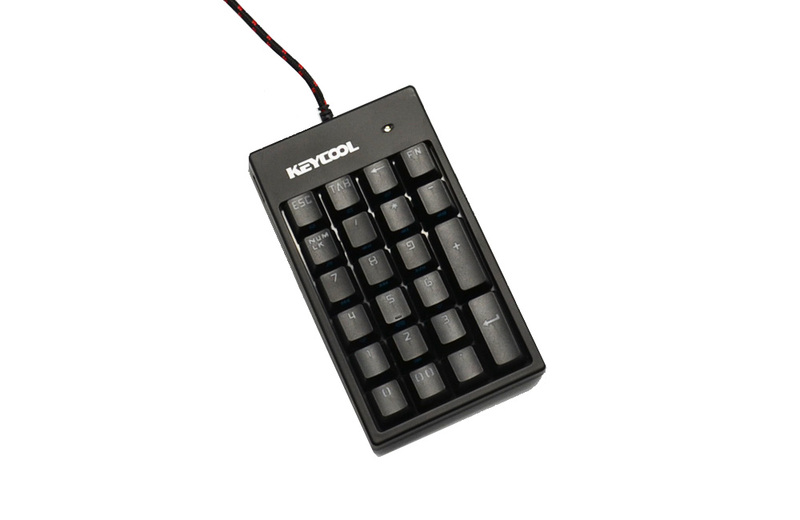 Another oddity is that the NumLock key doesn't output NumLock scancodes. It doesn't output any code to the computer at all. It seems to function as an on/off button more than anything. With the NumLock feature on, the numpad outputs characters, with it off, it outputs no scancodes at all. Knowing that I am able to remap the keys properly, I would say that I would buy it again. But for those without the skills, or ability (depending on OS) to do so, this might not be the best choice. 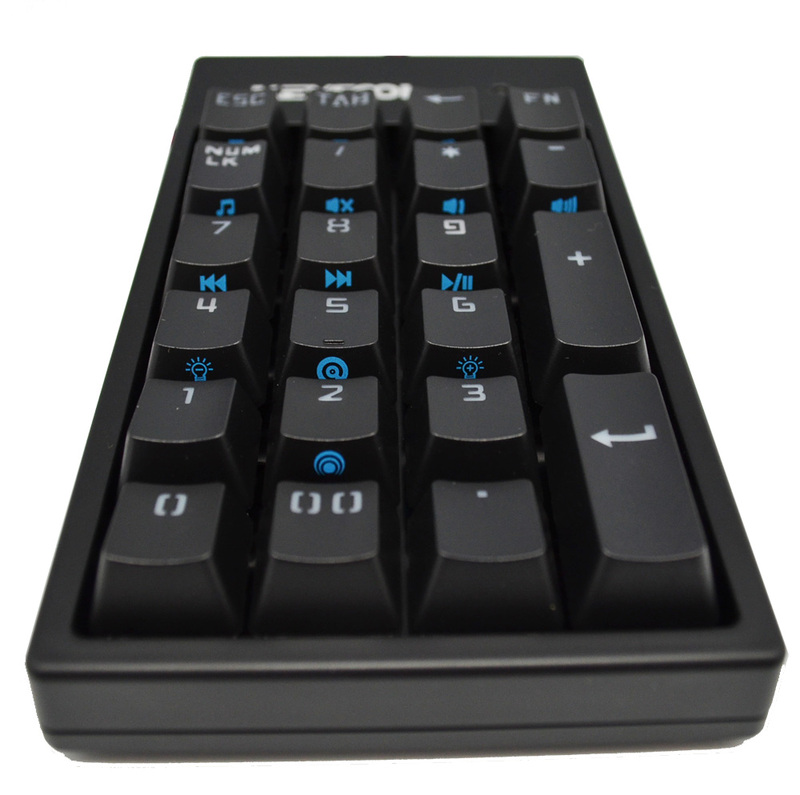 Getting a proper numpad seems to be an industry-wide thing in the past few years, and I somewhat expected some issues/oddities. Three Stars for non-standard oddities.